Austin Leach plays some tunes near the Denton Square. January 18, 2018. 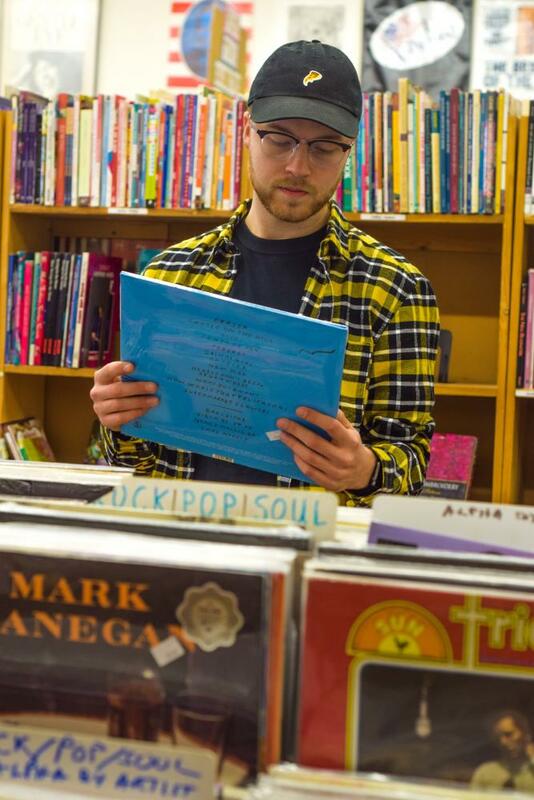 Local singer-songwriter Austin Leach looks down at his coffee as he recalls his earliest memory of his desire for music as a young boy, the process of making his music come to life and his long-term goals mixed with what he does on a day-to-day basis. The 24-year-old Fort Worth native has come a long way since, as he now finds himself making a breakthrough with local listeners. “I knew he had talent, especially after second grade when he sang ‘Can’t Buy Me Love,’ and all the parents were on their feet singing along with him,” Austin’s mother Susan Leach said. Talent at a young age wasn’t always easy to navigate for Leach when he looks back on his musical process bringing him to where he is now. In what seemed like a moment of musical magic, Leach uncovered the cultivation of his accidental new song and soon found a collaboration in the right studio team in January 2017. The first time Leach heard the song for himself, he was on the way to Tulsa, Oklahoma, from Dallas, Texas, to visit his grandma. 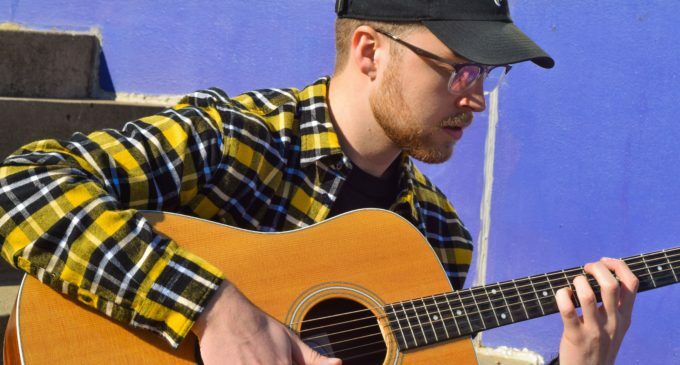 Drawing inspiration from Ed Sheehan and Coldplay, Leach manages to find ways to bring songs to life with catchy rhythms and easily relatable lyrics. While keeping strong values from childhood, Leach maintains his faith is what keeps him going day-to-day in finding the courage to go out and express his story and life through music. Though he has many long-term goals in the music realm, the singer hopes to continue showing off his music and collaborating with other artists. “[I strive] to constantly be around people who are challenging me and who are life-giving,” Leach said. In the music world, creating something out of nothing can be a whirlwind of anxiety, pushing the limit of the creativity within an artist, but that doesn’t intimidate Leach. In fact, the one-man band has upcoming shows taking place in California and Chicago later this year. Nice article! Keep at it Austin. You have many people behind you, supporting you.